Because I.... I mean "the kids" want to find out what happens in the new Winnie the Pooh movie. How did everyone make it out of January? Wow, that's a lot of mumbling. Yes, the year's bleakest month has come and gone, and everyone in Kellerman house survived. Granted, February isn't usually much better, what with the snow, cold, and salted street crap rusting everyone's reasonably-priced sedans, but at least this month we have a holiday that endorses eating chocolate until you can't stand. Or maybe you're supposed to eat so much, your lover can't pick you up. Either or, let's embrace it. Personally, I'll be stocking up on Twix hearts and planning a great, big book sale. My valentine to each one of you. I was going to make everyone a construction paper cupid sprinkled in glitter, but the postal figures were staggering. 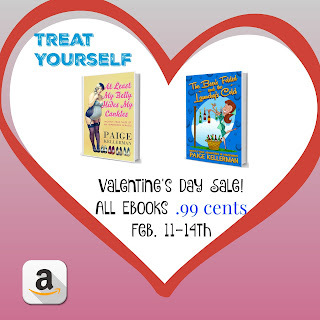 So, mark it on your calendars, February 11-14th, both my ebooks will be .99 cents! Sorry for the exclamation point. I just ate two chocolate puddings in a row, and I can feel myself spinning out of control. So, besides eating a large amount of dairy, like most families, we pass a lot of the winter time slog watching TV and movies. Saturday night is better known as "Movie night" around these parts. Growing up, on Friday evenings, my mother would dutifully march up to the video department of the grocery store and swoop down on whatever new release VHS all nine or ten of us had demanded. We salivated every time she returned victorious, hoarding that orange-stickered video tape in her purse. We crowded into the living room, like sardines in a cinematic can, and stopped fighting for ninety minutes. Perhaps only one person getting punched in the face. Husband and I are determined to continue this tradition. This past weekend, however, it finally struck me what a perk it is to be able to watch TV and movies with your kids. We've stumbled into a veritable goldmine of being able to watch pretty much anything we want and not be judged for it. Deep down, I want to consume an entire bag of Orville Redenbachers and figure out why Strawberry Shortcake is having such a hard time. 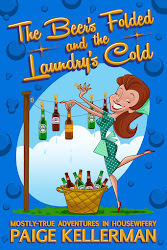 Is it social anxiety disorder, or is she just stretching herself to thin? How's she supposed to make thirty cakes for her friend's party AND hand sew everyone's party dresses? Pass the remote. Let's find out. Or what about Scooby Doo? I now have free license to watch a marathon of it. Oh, you kids want to go draw? I've got a better idea. How about we watch these meddling kids solve fifty more mysteries and HOPE that someone is finally a real ghost. Because I want it so bad. Every. Time. But it never happens. After that, we'll watch both live action movies and decide which one was better, and hem and haw over the casting choices. Sarah Michelle Geller is always adorable, but it's like Matthew Lillard is made to play Shaggy. Now find a real apparition, damn it. How does Macaulay Culkin keep getting left at home? Who built the bat cave? How do they manage to make My Little Pony so saccharine? It obviously doesn't have writers, just bags of sugar falling off shelves and making random words on someone's linoleum. "Hurry and type that up." They yell. "So, Paige, seen anything good lately? George and I find it so difficult to get out these days, but we managed to sneak away and see two Oscar-nominated films." "Oh. You mean you watched it with your kids?" *coughs awkwardly* "Right. Um, yeah. The kids totally picked it out. Because I would never, and I mean never, pick out a kids movie so I could wax nostalgic about literary bits of my childhood. But when we get down to brass tacks, it was well thought-out and Jack Black was a delight. Even after the third time... so, they still have the Oscars, you say?" As long as the Kellermans are tiny, I think I'll keep taking advantage of the happier side of Netflix. Sure, there's a plethora of annoying programming to be found in the realm of toddler TV, but if there's a chance I can keep laughing at why Shaggy's always hungry, I'm there. And now, I'm off to deeply discount books and load up on chocolate for this weekend. Get out of the way, other shoppers. Get out the way.